Average Performance Gains of 15 to 40 HP! 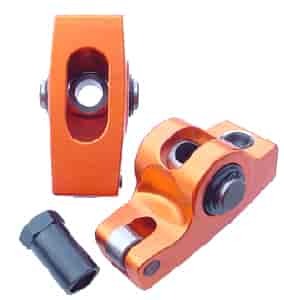 Harland Sharp developed and manufactured the first aluminum needle bearing Roller Tip Rocker Arms in 1960. Since then, thousands of racing enthusiasts have experienced the quality and precision of every Harland Sharp rocker arm. Features include, full needle bearing roller fulcrum, roller tip, and consistent ratios to reduce friction, wear, and to stabilize valve timing. The unique Friction Free Design gives you average gains of 15 to 40 HP. Made In The USA!